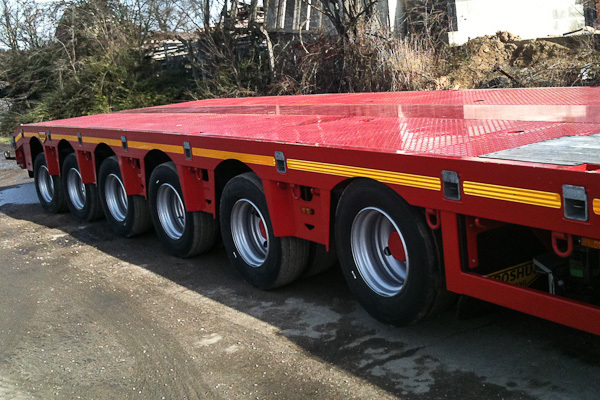 We stock 6 axle semi low loader step extending platform trailers from Broshuis and Doll. 60 tonne payload, and may be operated under special types. 1.05m deck height in the lower deck, 1.5m in the upper deck.